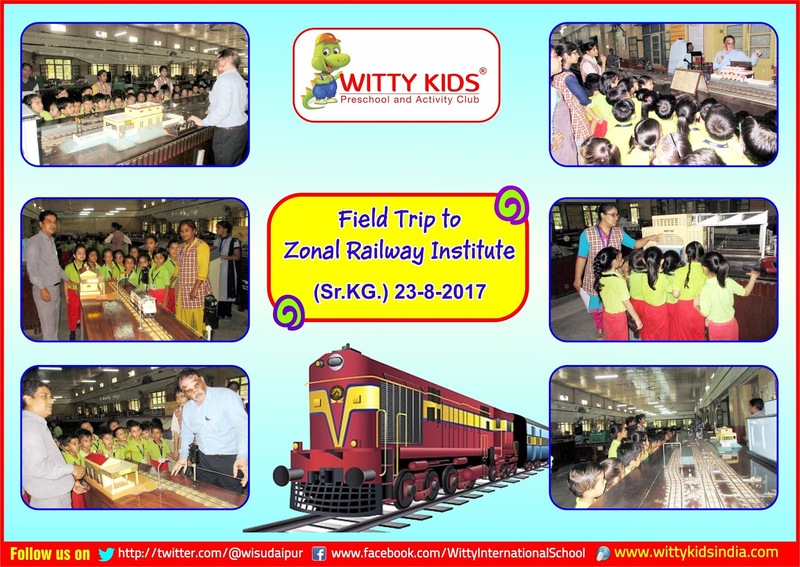 On Wednesday 23rd August, 2017, Wittians of Senior KG at Witty International School, Udaipur visited The Zonal Railway Training Institute. Kids Were given hands on learning experience about the development of Indian Railways. They were told about the various kinds of trains and the means of their functioning. Children enjoyed listening to the instructor when he explained them about the railway signals and the transformation taken place in the history of Indian railways. 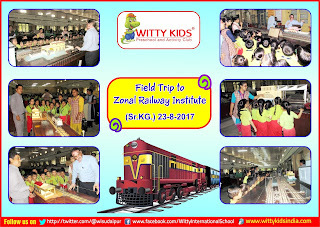 Little Wittians enjoyed watching different kinds of dummy trains moving on the tracks with the help of electric supply.